Year 2018 is a moment of celebration of 15th anniversary of the cooperation between Poland, Belarus and Ukraine within the European Union funds. 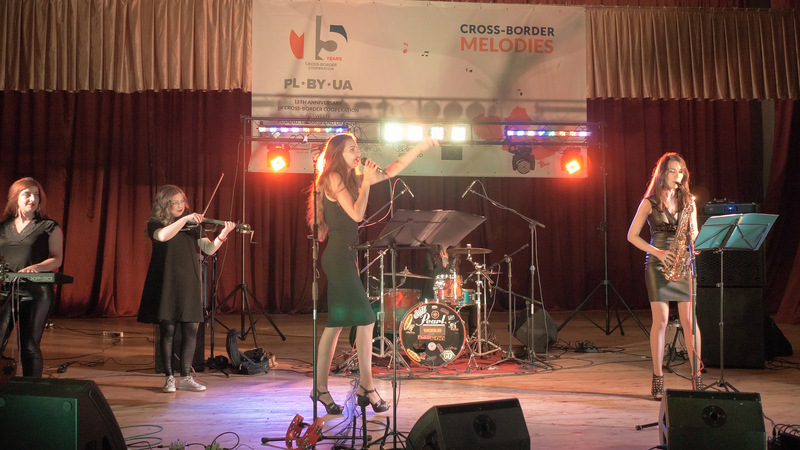 On this occasion, the Joint Technical Secretariat of the Poland-Belarus-Ukraine Programme along with the Programme Branch offices organised series of events „Cross-border Melodies” celebrating this extraordinary anniversary. In each Programme region there will be held an open and free-admission concert. 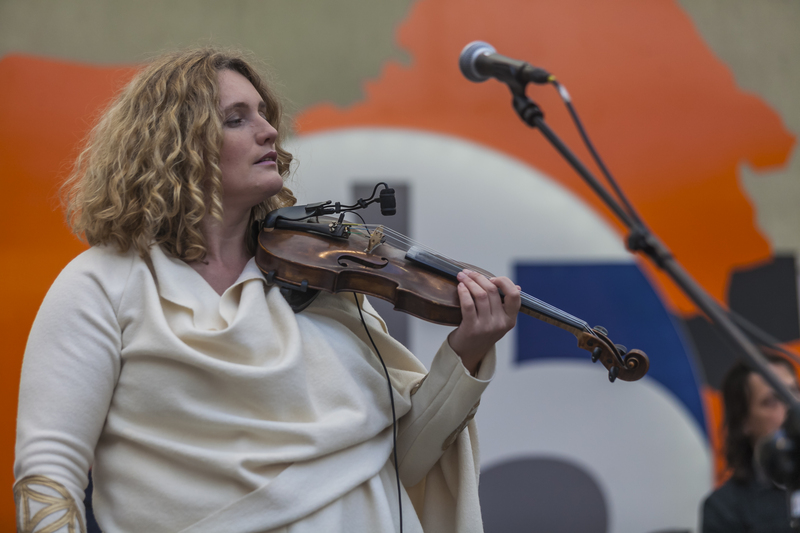 Concerts are being organised in locations important for the Programme in the context of realised projects within three Cooperation Programmes (2004-2006, 2007-2013, 2014-2020). The concert took place in Sokołów Podlaski, in the city's cultural centre (Sokołowski Ośrodek Kultury). 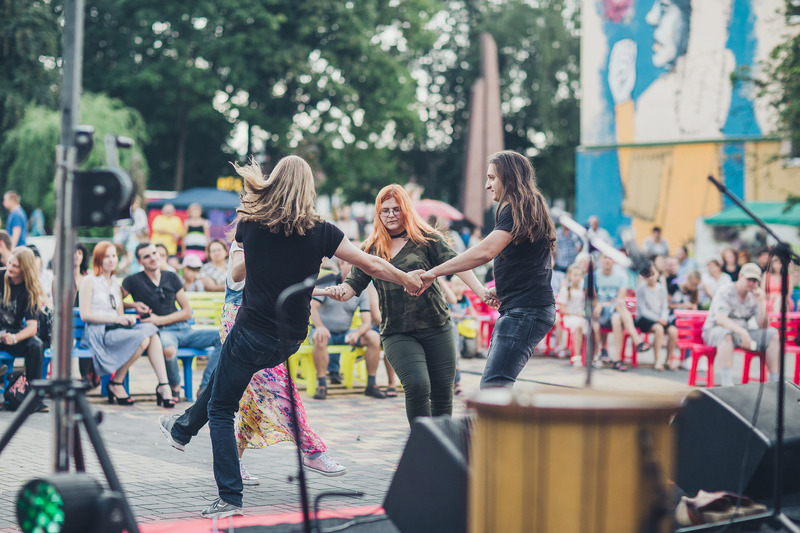 City of Sokołów Podlaski had a chance to realise two projects from the Programme for years 2004-2006 and organised two editions of folk festival Nadbużańskie Spotkania Folklorystyczne”. We invited an exceptional trio from Ukraine, PANIVALKOVA, to perform on this stage. The room was full and people enjoyed a lot the ambiance created by these artists. The special guests included Mrs Janina Ewa Orzełowska, the Vice-marshal of the Mazowieckie voivodeship and the director of the Center of European Projects, Mr Leszek Buller. Below you can watch the video from the concert and full photo gallery can be found at the bottom of this page. 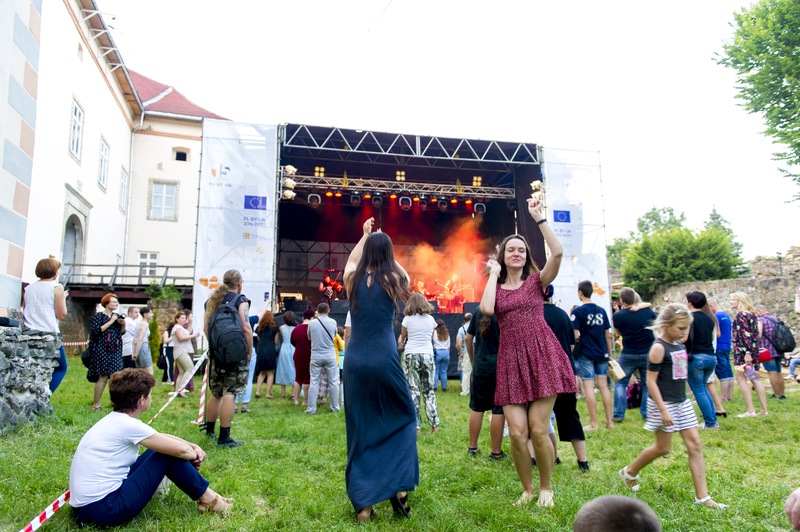 The concert was organise at the Lublin Castle's courtyard – a beautiful space in the city very important to the Programme. During the last 15 years, many ideas had a chance to be put into action thanks to the co-financing offered by the Programme. As a main theme of this event we have chosen the Jewish heritage of the cross-border territory of Poland, Belarus and Ukraine. The event was opened by Mrs Magdalena Fotek-Kułak from the Marshal Office of Lubelskie voivodeship and Mr Grzegorz Mickiewicz, vice-director of the Center of European Projects. 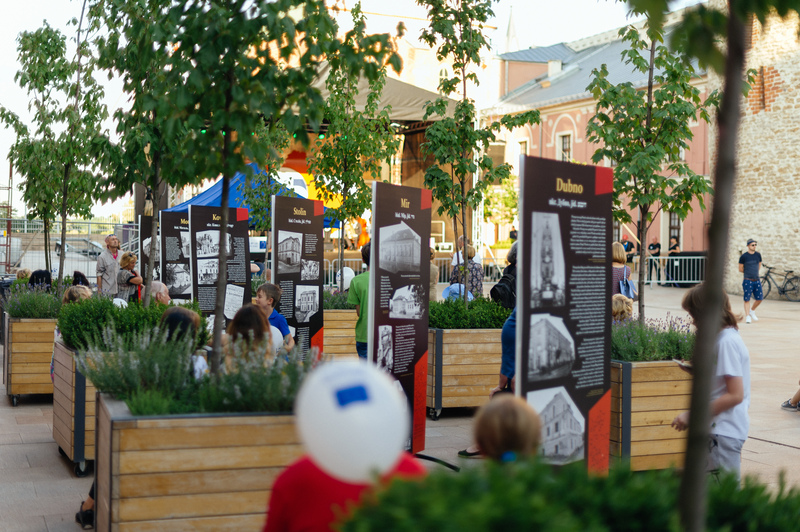 Together with the beneficiairy of one of the projects from the period 2007-2013, the Brama Grodzka Teatr NN foundation, the JTS organised an exposition on shtetls of the border regions. Mrs Monika Tarajko and Mr Emil Majuk representing the foundation gave a short introduction to the exposition and its background. For that evening we invited Sejny Theatre Klezmer Orchestra band to share with the public klezmer music sounds in this very special space. Hajnówka welcomed us with rainy weather but when the concert was just about to start, the sun finally joined us and the audience. 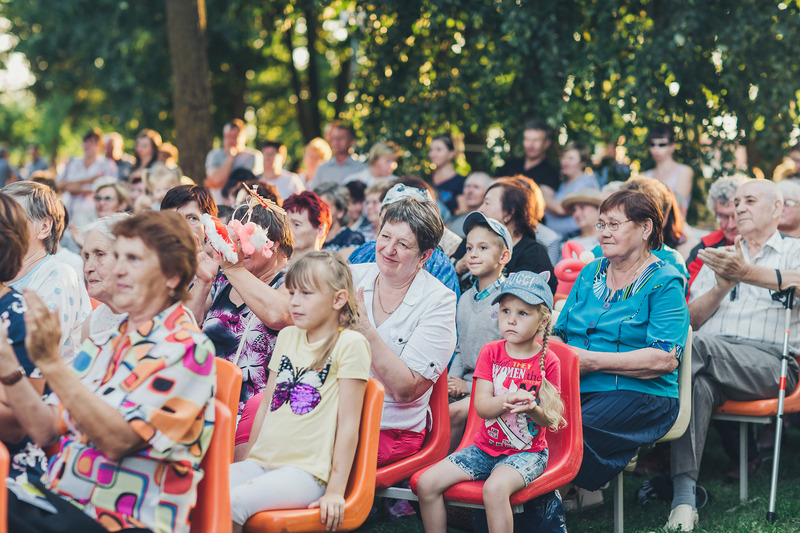 This time the concert took place in the amphitheatre located in the city park of Hajnówka. The roof above the audience was constructed within one of the projects from 2007-2013 Programme. We invited Kapela Ze Wsi Warszawa band to perform in this place, where they never had a chance to give a concert before. Full photo gallery can be found at the bottom of this page. The joyful atmosphere of that day can be seen on the video below! 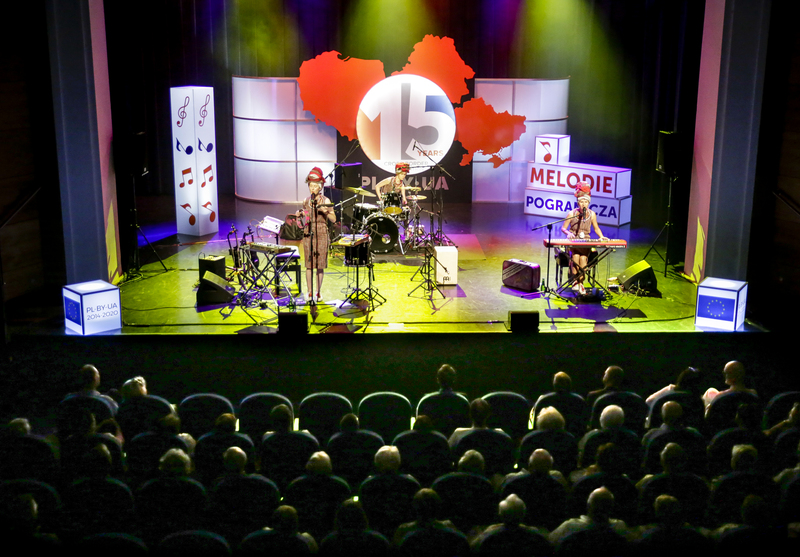 The last concert on the Polish area took place in Polańczyk, on the stage of amphiteathre fully constructed within one of the projects from 2007-2013 Programme. The location is beautiful, right next to the Solina lake, so the spectators could admire not only the music but also fantastic views, especially the sunset. Two band performed that night: first DrymbaDaDzyga from Ukraine, with their energetic songs and Tołhaje from Poland, with roots from Podkarpacie region. As this was the central event of the series of "Cross-border Melodies" in Poland, Adam Hamryszczak, the Undersecretary of State in the Ministry of Investment and Economic Development in Poland was opening this event. A welcome speech was held also by Mrs Maria Kurowska, the Vice-marshal of the Podkarpackie voivodeship and Mr Adam Piątkowski, the mayor of the Solina Commune. We also had a chance to share a birtday cake. 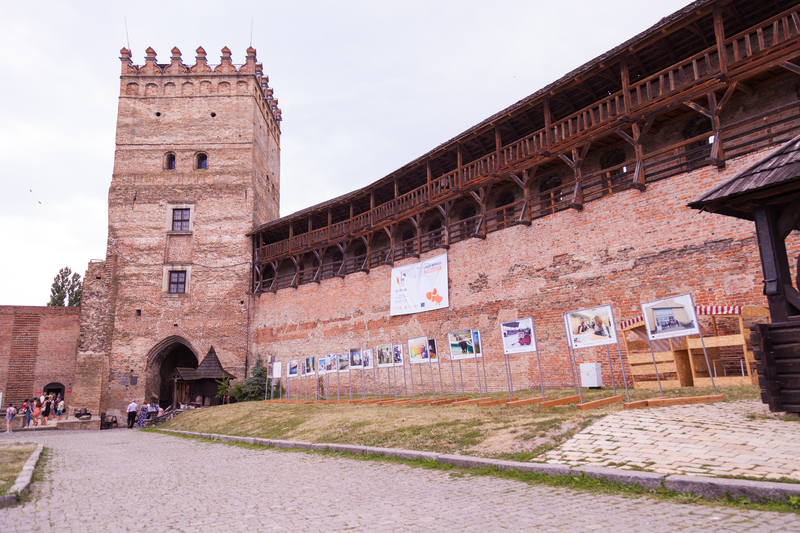 In Lutsk, a beautiful Lutsk Castle was a venue of workshops and the concert. 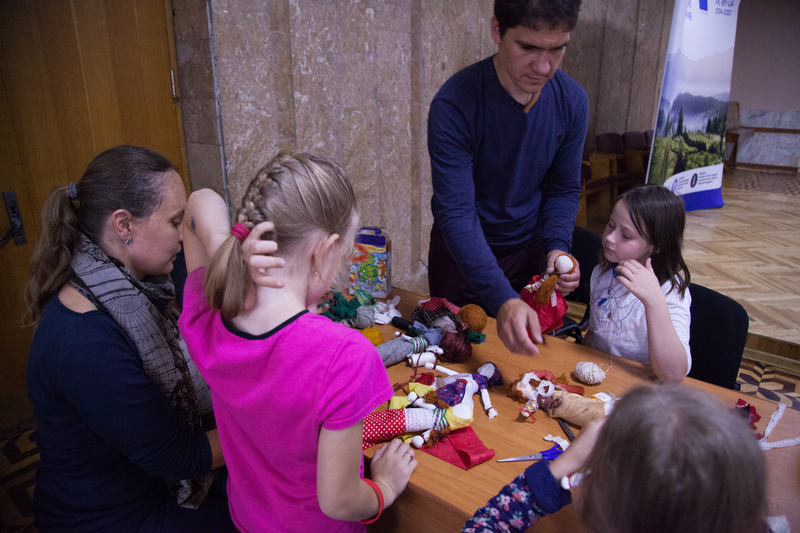 The workshops in traditional crafts were based on the project “Joint cooperation network within culture and welfare on behalf of the development of the cities of Polish-Ukrainian borderland” realised within the 2007-2013 Programme. 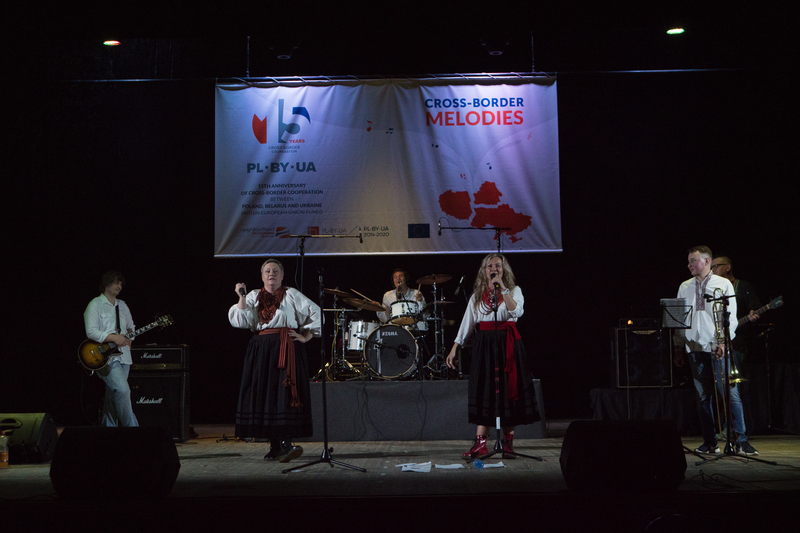 The workshops were followed by the concert of Los Colorados, Joryj Kłoc and Fiolet bands. 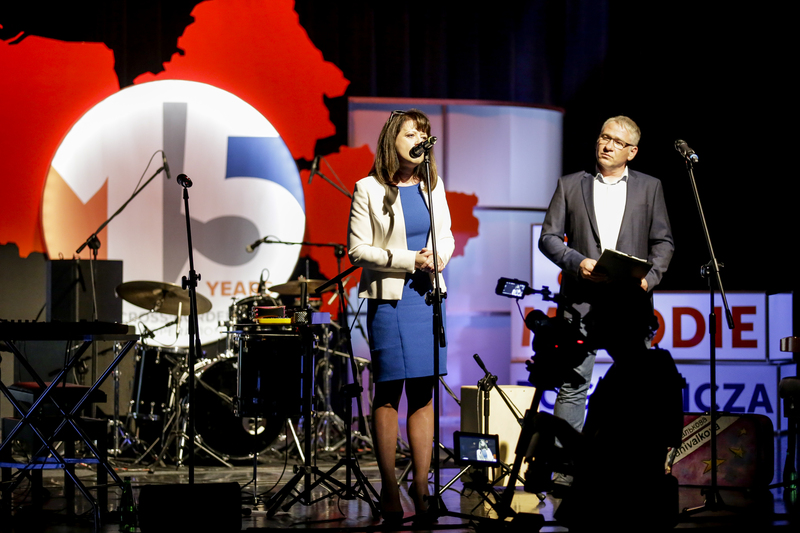 The celebrations took place in Urban House of Culture where the project “Investment in culture. Comprehensive action for cultural education” had been implemented. Workshops on air video making sound recording, which were based on project developments, raised a great interest among the teenagers. 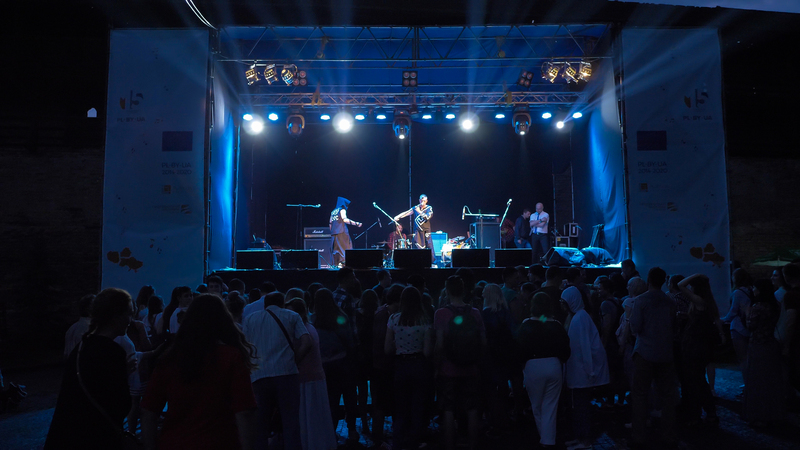 The concert of Ethno ХL, Los Colorados and Fiolet followed the workshops. 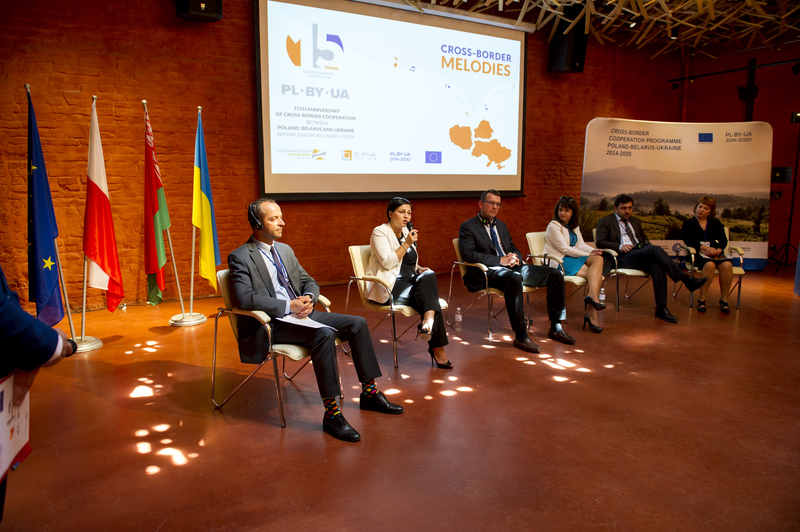 In Uzhhorod, the Conference CROSS-BORDER COOPERATION IN THE CARPATHIANS was conducted which involved programmes, projects and local authorities, which contribute to the development of the Carpathian Mountains area. The participants presented their successful initiatives and discussed the ideas for the future. Also, a football match was played on the football pitch in the Baranyntsi village sport complex, renovated within the PBU project “Partner project of development of common tourism based on new youth sport and leisure centers”. 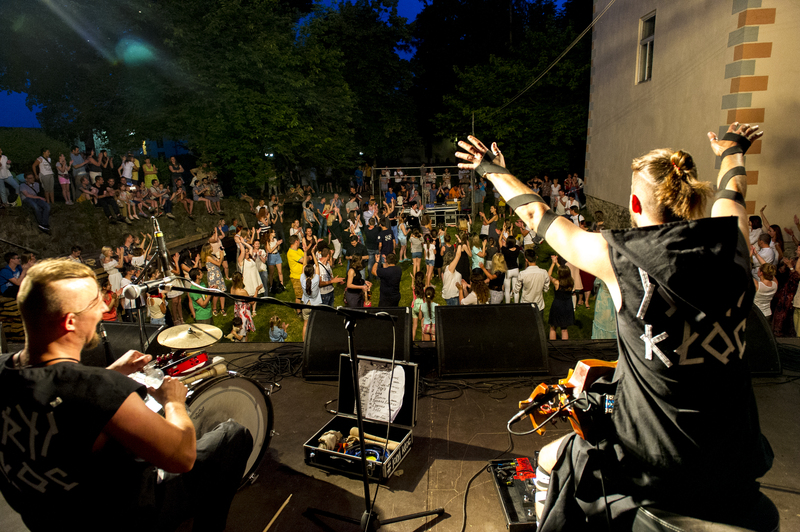 On 9th of June Karpaty Fest II took place in Uzhhorod Castle. 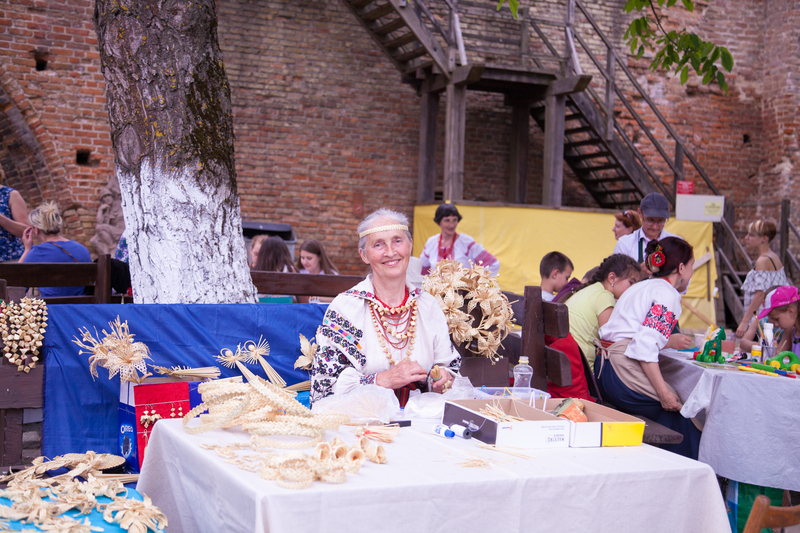 The programme of the Festival included concert of ethno folk music and workshops on folk crafts (vytynanka, corn husk weaving, traditional doll making). 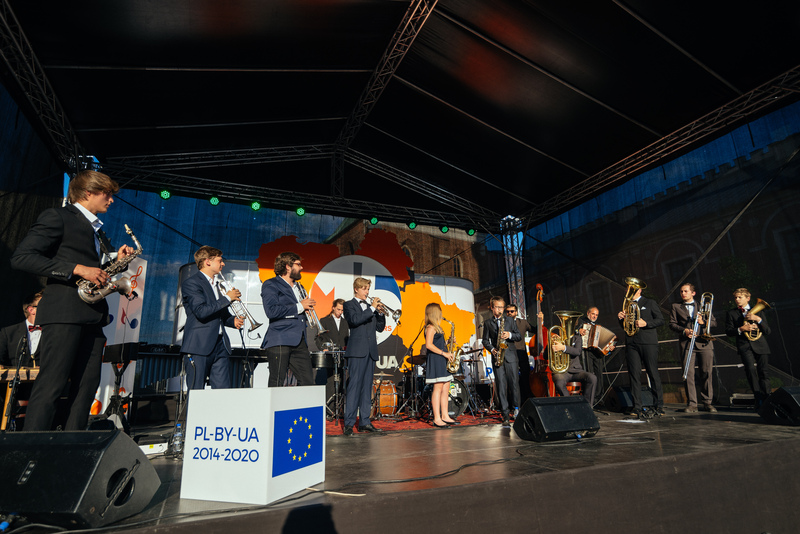 Guests of the event were able to enjoy the performance of the bands from two countries: Rock-H (UA), Orkiestra św.Mikołaja (PL), Joryj Kłoc (UA). 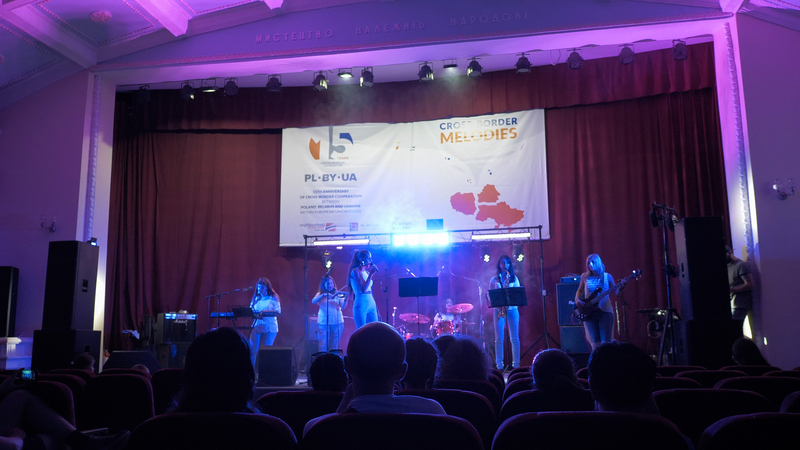 The concerts and workshops took place in the Ukrainian House “Peremoha” at the venue of the project realised within the 2007-2013 Programme “Investment in culture. Comprehensive action for cultural education”. Workshops on animation, mobile photography and sound recording were based on the project. The concert hall had been renovated and equipped within the Project, so both concert and workshops were a logical continuation it. 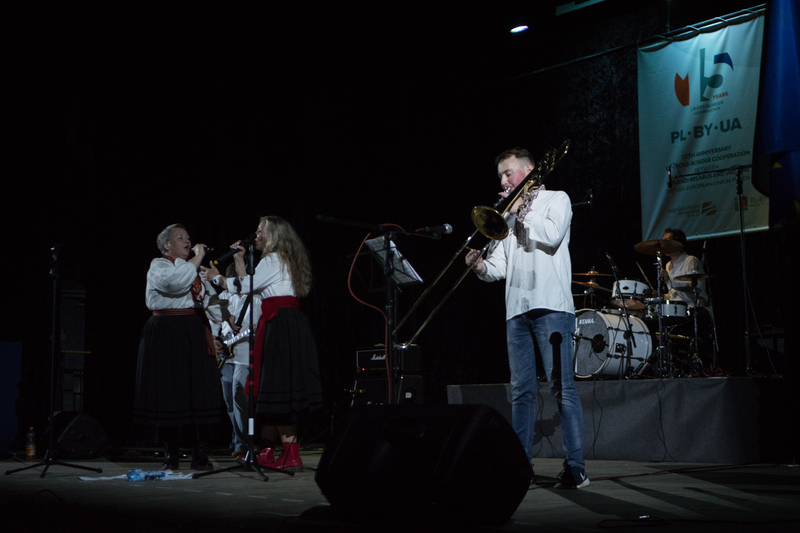 The bands performing at the concert included ICE CREAM ladies band, Ti shcho padayut vhoru and Los Colorados. The Urban Centre of Leisure for the Youth, which was partially renovated and equipped within the project “Investment in culture. 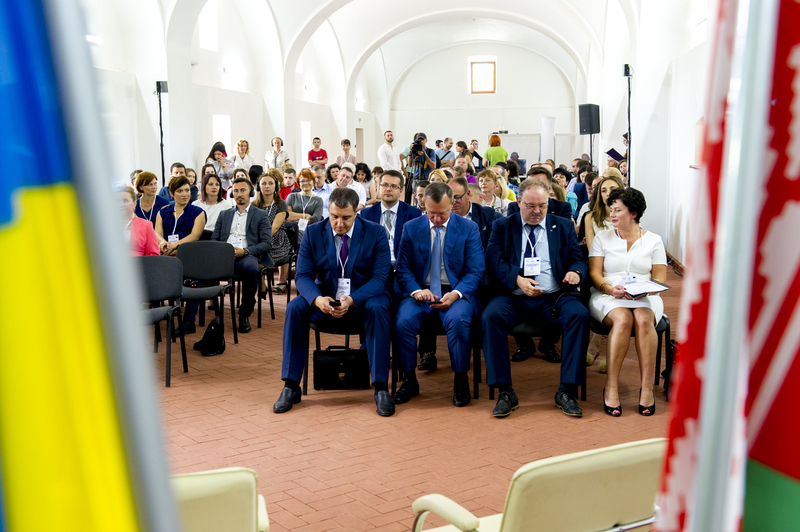 Comprehensive action for cultural education” hosted the event in Ivano-Frankivsk. The workshops for teenagers included traditional doll making, making leather accessories and dream catchers. ICE CREAM ladies band, Los Colorados and KoraLLi performed at the concert. 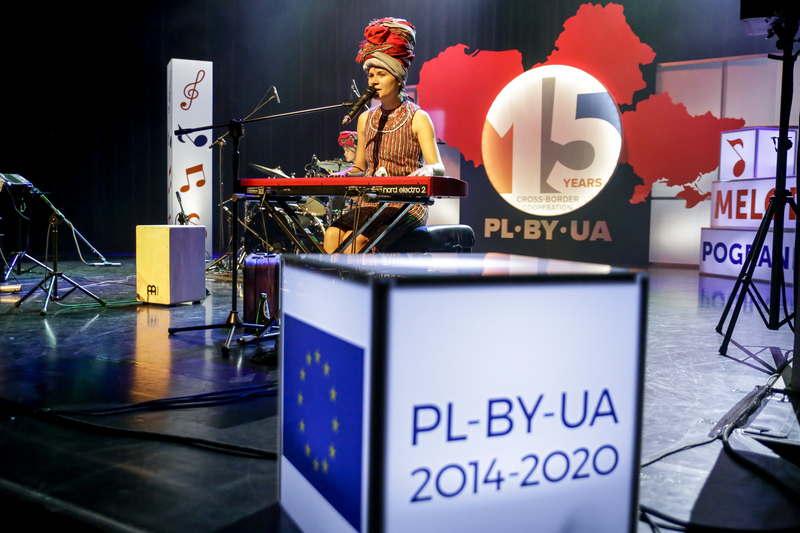 The Annual Conference and a concert in Lviv closed the celebrations in Ukraine. The Conference was a special event because it gathered together the project beneficiaries of all three Pogramme periods (2004-2006, 2007-2013, 2014-2020) as well as the programme creators. During the discussions and presentations it was possible to observe how the Programme evolved. It was also a great opportunity for old friends to meet again, communicate and share their ideas. The Conference was followed by the gala-dinner where awards were handed to the representatives of Programme bodies and project beneficiaries. 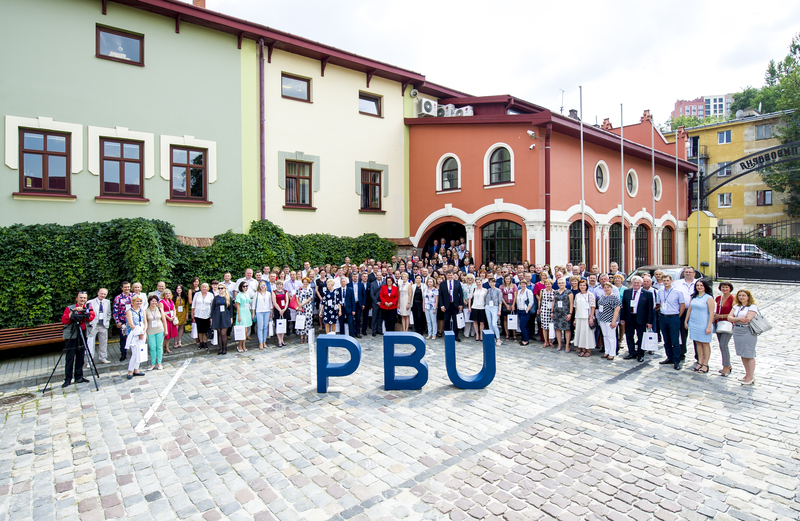 On the next day the Conference participants had a city tour featuring the results of some PBU projects from periods 2004-2006 and 2007-2013. 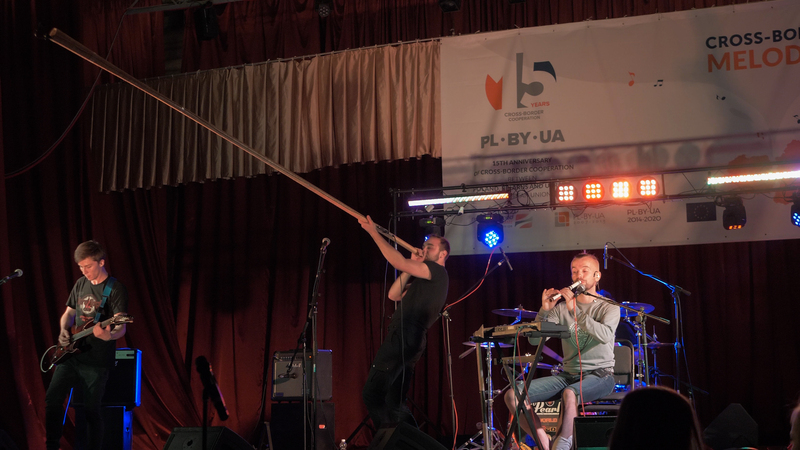 The day ended with the concert of Polish, Belarussian and Ukrainian bands: TOŁHAJE (PL), IRDORATH (BY), Kozak System (UA). 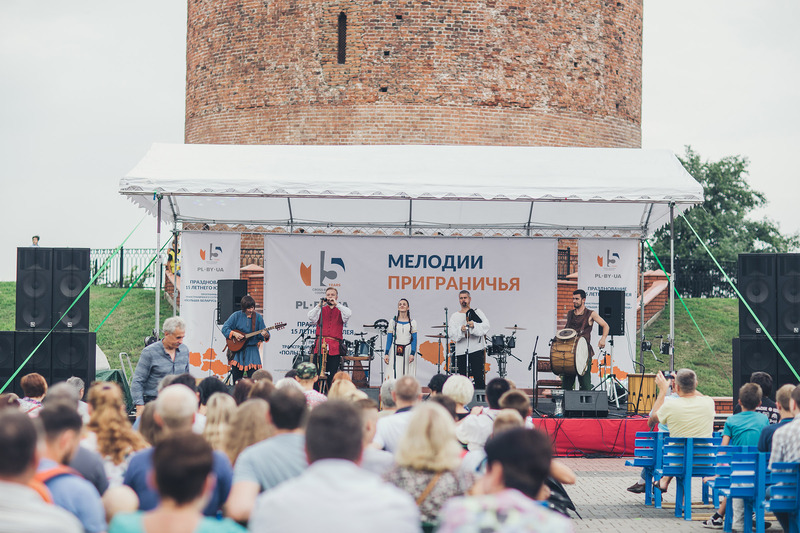 The folk music concert was held in the village of Hudzieviči (Hrodna oblast), where Hudzieviči State Museum of Literature and Local Lore is situated and which was modernised within project “Improvement of cross-border region attractiveness through the introduction of ethno-cultural resources into the tourist activities (a trip to the ethnic fairytale)” (PBU 2007-2013). The event was opened by deputy chairperson of Mosty District Executive Committee Marina Davydik and JTS project manager Siarhei Kuzniatsou. 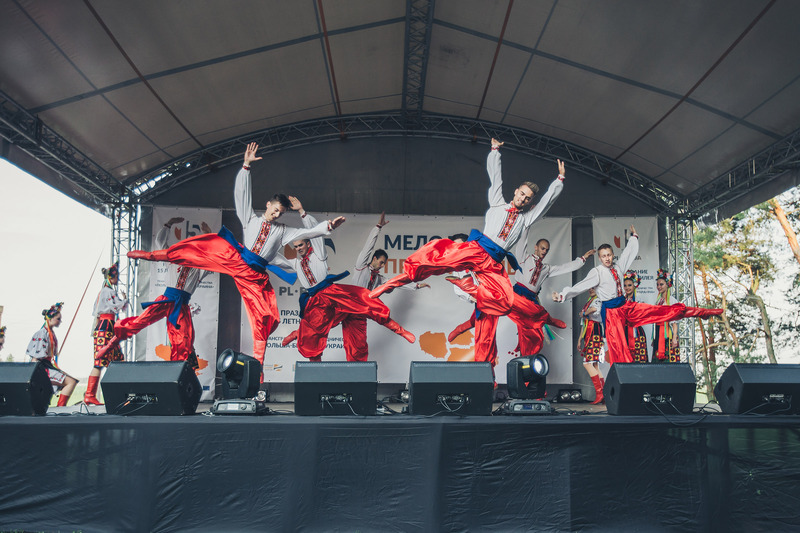 The audience was provided with a festive and joyful mood by the folk dance ensemble “Radost” which performed lively folk dances. Then the concert was continued by the folk dance, music and song group “Belye Rosy”. Professional performance of folk dances, as well as colorful costumes of two groups left a lasting impression on the audience. Kamianec is a city where so many projects during periods 2004-2006, 2007-2013 have been implemented. Additionally, Belovezhskaya Pushcha is located next to Kamianec - joint heritage of two neighbouring countries: Poland and Belarus. 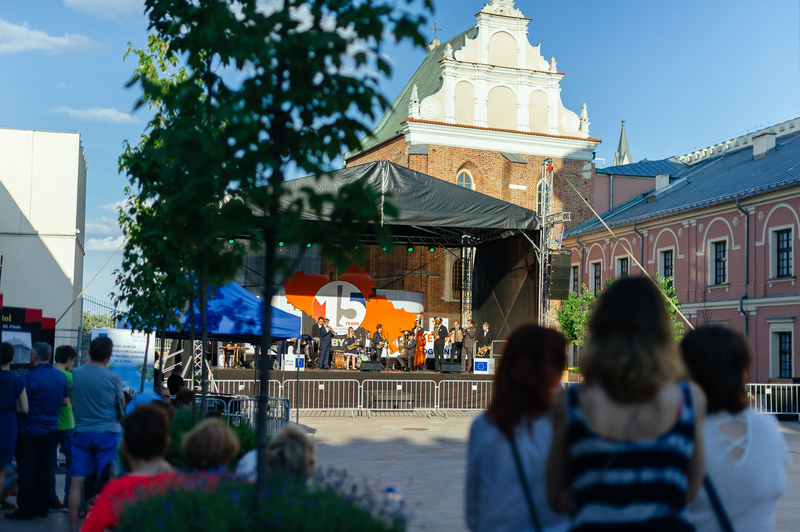 The concert stage in Kamianec was installed next to Belaya Vezha tower – the symbol of Kamianec. Folk craftsmen conducted their workshops, kids danced a flash mob and the audience took places in front of the stage. The welcome speech was given to deputy chairperson of Kamianec District Executive Committee Denis Shpak and head of Brest Branch Office of the Programme Maxim Aldanov. Belarusian group of medieval music “Stary Olsa” opened the concert. 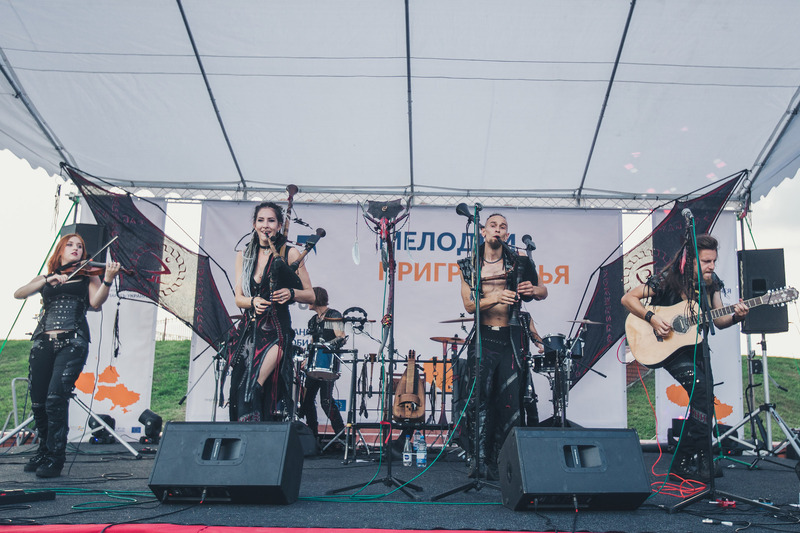 Ancient Belarusian instruments such as bagpipes, lyre, gusli with excellent vocal characteristics of the soloists gained the hearts of the audience. And the lyrics based on events from the life of the Grand Duchy of Lithuania left no doubt about the uniqueness of this musical band. 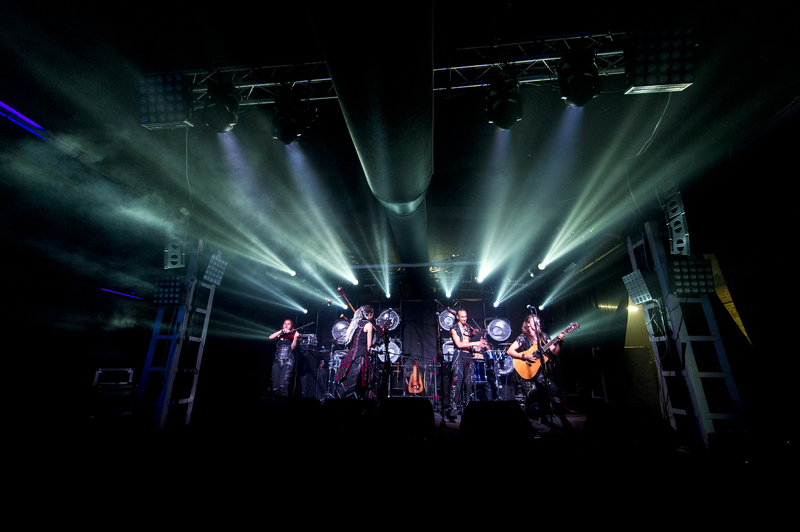 Then the Belarusian ethno-rock-folk group “Irdorath” came to the stage. Strong energy of this ethno-folk group from the first notes was transmitted to the spectators, many of them started dancing. We will be more than happy to celebrate it together with you!